The year was 1996. We were called into Castrol’s Kent St city office (in the days of an 8 minute cab ride) and were asked to redesign the packaging on the iconic Castrol GTX brand. It was the beginning of a great relationship. Their passion and innovation matched ours and as the years progressed we did more and more together and our respective businesses grew. Eventually we won our first of 3 global projects (to date) and the work of a small McMahons Point agency began to be used in Asia, Europe and the Americas. There’s almost nothing we wouldn’t do for Castrol – in fact there is almost nothing we haven’t actually done for them. But invariably it’s all about one thing – bringing products to life. 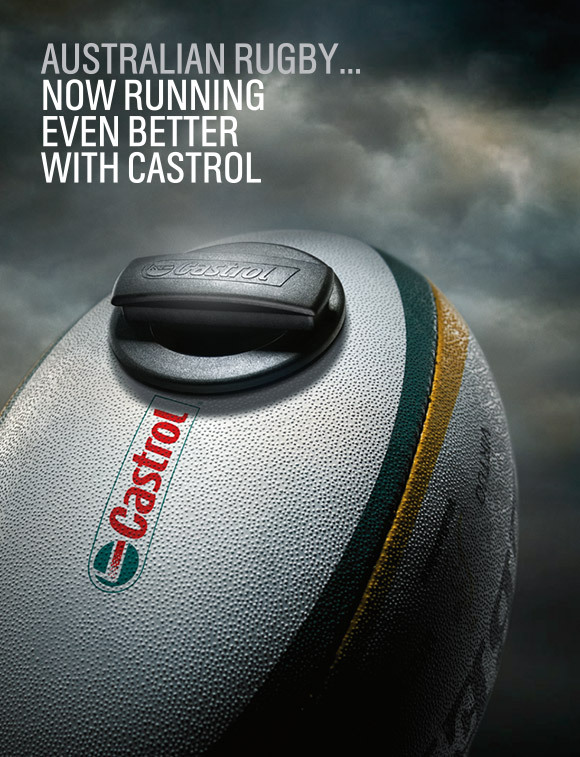 A perfect example is the work designed to capitalise on Castrol’s sponsorship of the ARU. Castrol passed us a brilliant opportunity to create visionary television and print creative that converted football imagery into vehicle imagery in unique and engaging ways.